You have probably heard of “chakras.” People talk about these on tv shows and most alternative health websites you stumble upon. You might have just believed whatever you heard or read, or perhaps you dismissed it as something evil that stems from demonic doctrine. You could even be on the fence, thinking there could be some truth to it or not. Are Chakras and Christianity even compatible? Can we extract anything from this ancient knowledge? Well, let’s explore and try to make some connections. Chakras are said to be energy vortexes along the spine. They normally move clockwise, like tornadoes south of the equator. You can find vortexes everywhere in creation. You can find them in your blood, cells, veins, and arteries. Even the sap of plants and quartz crystals have small vortexes; these creations of God bring balance, release toxins, and cleanse. There are supposed to be hundreds or even thousands of minor chakras, but we will focus on the main ones that correspond to the seven primary colors that can be seen throughout creation. The vortexes draw in and release energy. Just as your body releases some of the food you eat, the chakras release excess energy. Things can affect how these wind centers function, including your emotions, trauma, and toxin overload. Chakra imbalances can cause issues in the physical body. This is one reason healers stress the importance of prevention and whole-health maintenance. Though, a physical injury could also cause an energy imbalance. The colors represent frequencies and vibrations, and the chakra system associates each color to the functions that take place within each center. Generally, the chakras connect to food, herbs, and crystals of the same color; they link to elements of the earth as well. Organs, bodily systems, and soul aspects of a person connect to designated energy vortexes, too. The chakra system is ancient and stems from India. The magnetic centers are like energy processing plants, and you can think of them as the processing areas of a tree. For example, the root or red center is the root system of the tree that allows for interconnectivity within the body. The orange center is the supportive chakra that is there to deal with some of the body’s basic functions for survival and reproduction, which is similar to heartwood. The heartwood of a tree is the supportive pillar that is strong enough to support twenty tons. The yellow center is associated with digestion, meaning that it helps reconstruct energy into usable energy for the body. This is similar to the cambium cell layer of a tree that processes hormones that help stimulate the growth of sapwood (new wood). If you study other ancient cultures, you will find some similarities to the Indian chakra system. Chinese medicine highlights 12 meridians or energy paths. If a meridian is not functioning properly, it can affect the connecting chakra. In Jewish mysticism, also known as Kabbalah, the tree of life forms a series of sacred geometric grids along the body, and there are power points called “sephirot.” The Greek chakra system is similar to the Indian one, with a few differences. The knowledge from various cultures is said to complement each other. We should zoom in on the importance of understanding polarity, which sets the direction of energy flow. This force always flows from one point to another (negative/positive). We are north south east west like the earth. Every energy pathway in the body needs to flow properly for optimal functioning of the magnetic centers. Isn’t this what most people need in this day and age? They need someone who they think is scientifically relevant to tell them what is true and what is not. It is yet another religion that has sadly led people away from the Creator and his healing earth. But as you see throughout my writings, science can play well with the Christian faith when God is given His due place. There is some information that suggests the chakras may exist and more experiments are being done. As we know, our thoughts and emotions can affect our bodies and other creations like water. We also know this is the case with plants, crystals, etc. If you need more green in your life due to an imbalance, you can go out in nature or put more green around you, but you can also just imagine the color because the mind is powerful. 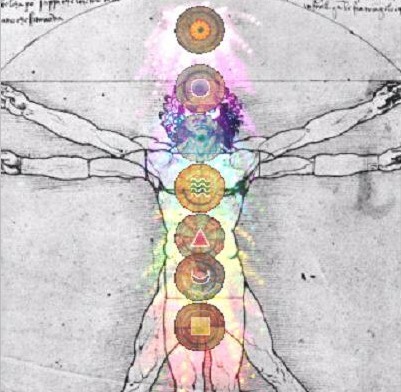 A professor of kinesiology also made some discoveries regarding chakras. Her name was Valerie Hunt, and she used an electro-myograth to record various electromagnetic outputs the body radiates. The instrument was meant to read electrical activity, and it did record electrical spikes in areas linked to chakras on various people. She noticed a higher frequency emitting from mystical people like healers, channelers, psychics, and trance specialists. This could reveal they are just more energetically intune or could reveal they are dabbling in things or with entities they should not. I’m not one to just believe what someone says, whether this person is a scientist, pastor, teacher, or healer. I respect all people, but we are flawed human beings. First, I have to get clarity from God, search the scriptures, put some pieces of the puzzle together and, when necessary, do my own science experiments. One way to sense the body’s energy field and magnetic centers is with a pendulum. My grandfather-in-law uses this tool to figure out the best place to grow crops on his land. He just holds it over a piece of land and observes the direction. This tool can help you see if a piece land is healthy and energetically balanced. I know this has been used in other ways and for other purposes, like asking questions. Today, we are focusing on gravity, polarity, and the magnetic field of the body, which affects the pendulum’s movement. The tool is meant to help you find out if what you are measuring is in harmony with the earth’s polarity. 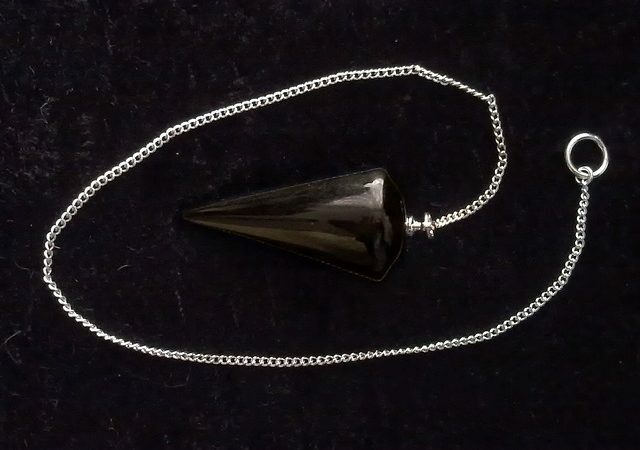 You don’t need to buy a wooden or quartz crystal pendulum. You can do this with a weight tied to a string. Okay, healthy chakras are supposed to move clockwise–according to many healers and Barbara Ann Brennan, who is a noted authority on the human energy field & ex-NASA research scientist. Though some healers believe they can also move counterclockwise and still be balanced as it depends on what’s going on with the body energetically. Personally, clockwise has always proven true to me and my subjects, so you will have to see what works for you. One thing you can do is observe the earth and the body. If you hold a pendulum over the raw ground around you, it should start moving in a circle. We can do the same for the body. Go along the body where the 7 main vortexes would be. Relax, and hold the pendulum over each center. Be sure to not influence the findings. If it swings counterclockwise, the center might not be balanced. You can tell how balanced or out of balance something is by the width of the circle. If it does not move at all, there could be some kind of blockage. You can use this anywhere on the body, really. As mentioned earlier, even our cells have little vortexes, but doing it on the main areas helps give a clearer reading. The best reading would be done in a healthful environment–with no man-manipulated things in the way to mess things up. We know that most of the information about these magnetic centers is fused with evil doctrine and false religion. So please don’t just do what other people do, whether Christian or not. We must remain Biblically grounded and Christ focused at all times. We could say that ancient cultures had some knowledge of how the body was designed and how it works. Though spiritual aspects may be involved in the sense of how our spirit/life force/breath of life moves in the body (read more about my perspective here), we know that chakra maintenance will not save an unbeliever’s soul or offer True Spiritual Healing to him or her. These people probably learned half-truths from fallen angels, who they unknowingly worshiped and served. The connections we see point to a Creator. The magnetic centers can be seen as another proof of God and even a symbol of the Holy Spirit who transforms and brings true life to our spirit, soul, and body. He created the earth and us. And he’s symbolic. It makes sense that we have similarities to other aspects of creation and living things around us. We know that the number 7 in the Bible means completion, wholeness, and divine perfection. We see this in Genesis 1-2. God worked for six days, and the seventh day was a day of completion. We could also consider the seven lampstands in Revelation, which are symbols of spiritual light shining out to a spiritually dark world. When the Holy Spirit enters us, we now have true light and are no longer filled with darkness. The church leads people to this light, Jesus Christ. Six is the number of man, and with Christ, we are made perfect–7. We know that light contains color. We can see these wind vortexes as beacons of light, vibrating a spectrum of colors that are crucial for proper functioning and health of the whole body, and they are revealing. The body of Christ brings truth, color, and real healing to the world with the guidance and help of the Holy Spirit. The invisible nature of chakras causes people to doubt them, which also makes sense. We know that many people do not believe in God because they cannot physically see him right in front of them, though he can be seen in creation. The same can be said about these magnetic centers. Perhaps you cannot visually see them, but evidence is there (even though we will not understand everything there is to know about God’s complex creation as lowly humans). So How Can We Maintain These Vortex Centers? Well, maintenance is not complicated. The points are just the main magnetic centers. Like the rest of your energetic body, they are self-balancing and self-healing if the force is flowing properly. Sometimes things get out of whack, and you can heal with herbs, dietary changes, and complementary crystals, which are all energetic medicine. You can also do occasional tune up sessions like laying on a bed of quartz under the warm sun or moon, but generally the right diet can help keep you in balance, just as it has done for people for thousands of years (though this may not be enough in this world). Do your best to stay away from man-manipulated ingredients, toxins, and chemicals. You can decrease the amount of positively charged energy in your environment with things like crystals, plants, salt lamps, beeswax candles, or essential oils. Ancient people didn’t really need to “detox” frequently, but we live in this time. This is why I do a little extra sometimes by using healing clays to detox man-altered radiation, etc. Spiritual & soul health is important because we are one yet three. We know that the spirit is willing, but the flesh is weak. So many problems stem from the soul. Do not allow soul diseases to develop and fester. Unforgiveness, fear, anger, sadness, guilt, regret, living in sin, and many other issues are toxic and could cause energy imbalances in the corresponding center. Give all emotional/soul issues to God as not doing so could affect your health on multiple levels. A healthy Spiritual Life that includes Regular Bible study, prayer, etc should be a constant and will usher in true, whole healing. Be sure to control stress. Take time to relax, and it is important to spend time in God’s nature to help stay in balance. You can take walks in the forest, along the beach, chill by a waterfall, go for a hike, and reflect on our great God. Learn to be content in the state God has you in (Philippians 4:11), and seek out Spiritual fulfillment in Christ, instead of worldly fulfillment. Hope your family is doing okay. You are in my prayers. I’m glad you were able to gain some clarity from my ponderings. Your words are so encouraging. I agree that God can be seen in science, mathematics, the universe. And we can learn so much from ancient people. Their intricate understanding of the body and the earth is fascinating. We just have to stay Spiritually guarded, filter through stuff, and put a few pieces together. Thanks for sharing your thoughts. Thank you so much for this great article. I was confused on the subject and you have helped me greatly!